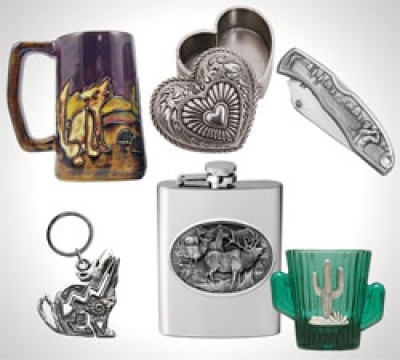 Arizona Gifts has been providing gifts and party favors for southwest theme and Arizona weddings since 1998! 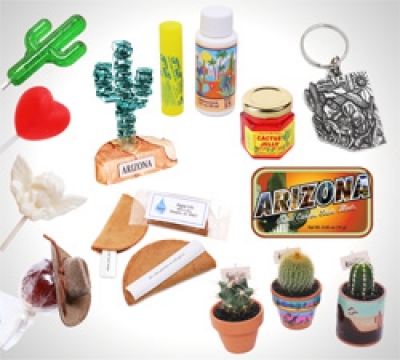 Browse our sample selection below for ideas for wedding favors including mini cactus, magnets, keychains, novelties, candy, southwest snack foods, and more. Looking for a creative gift for a bride and groom? 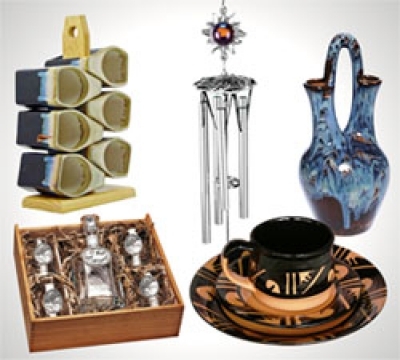 Browse our selection of handmade pottery, stoneware dinnerware sets, fine pewter windchimes and many other Arizona and southwestern gifts. We also have many items that are great for bridal party gifts like flasks, pocket knives, shot glasses, steins, golf sets, and more. We can also do custom name drops! Order custom sandstone coasters with your names and date for your guests or even have chips & salsa or mini hot sauce bottles with your names on the label!